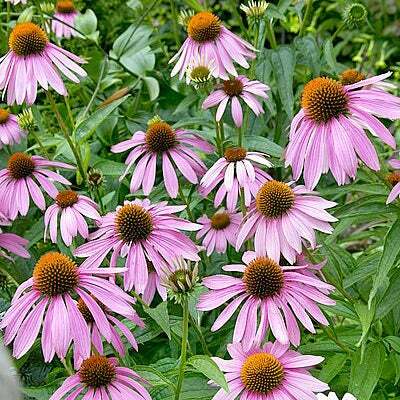 Collection of 1 lb Black-Eyed Susan and 1lb Purple Coneflower. Perennial – blooms appear in the second season and will reappear for many years to come. 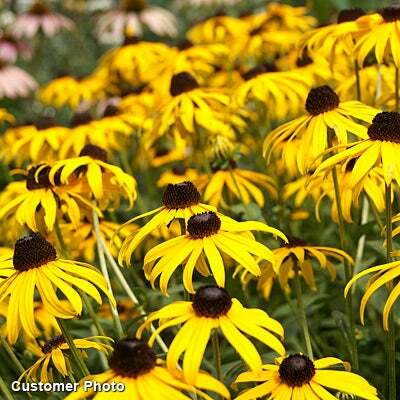 There's nothing more classic than the native combination of Black Eyed Susan and Purple Coneflower. This easy-to-grow duo thrives in any sunny spot and tolerates poor soil, making it a smart choice for hard-to-reach areas or parts of your landscape you've been hesitant to plant. Colorful pink and yellow blooms attract bees, hummingbirds, and butterflies to the summer garden and offer up more than enough flowers to cut for endless summer bouquets. Whether you’re new to wildflower gardening or a seasoned pro, you can’t go wrong with this iconic combination. Plant in the fall or sprinkle seed on bare soil in the spring once all chance of frost has passed.